Aliens are trying to steal sheeps on Earth! What they've done is an act of war, ready your towers and protect them with all of your might. 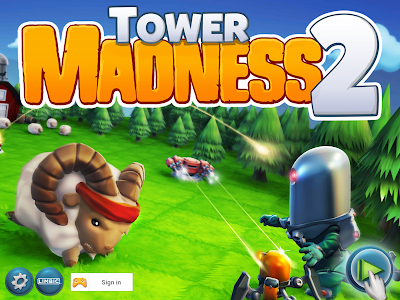 Hi this is Gigaster presenting Tower Madness 2 a fun, challenging and cute TD game. I recently discovered this free to play game on Play Store with a strange theme. Aliens kidnapping sheeps. 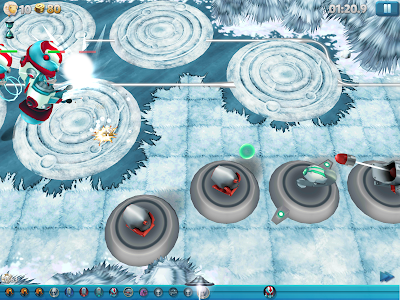 The goal of the game is to prevent Aliens to steal sheeps by placing different types towers on the map. 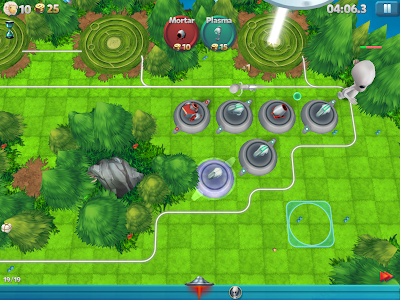 In each round 10 sheeps is available for the aliens to take, one of the sheeps is called "BO", he will chase away land units if aliens able to penetrate you defense. Beware "BO" can only be use once. 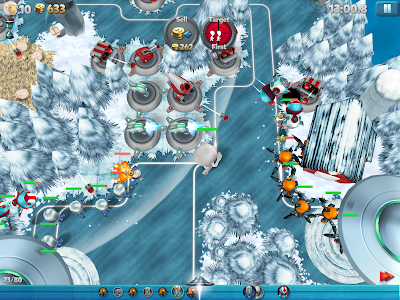 Like other tower defense game certain types of aliens have resistance to towers. Some of them have resistance to fire, energy or electricity. Aliens have special abilities like multiplying or stunning your weapons for a short period of time. Surviving each round rewards you wool. 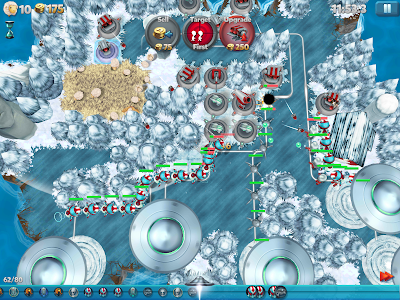 Wool is the currency needed to upgrade towers. Right now there are 7 campaigns available and each campaign have 10 maps. Terrains of the maps also affects the towers, like in the desert towers tends to overheat and needed to cool off for a short time. Tower Madness 2 offers 3 types of game mode normal, hard and endless. Normal is the standard pace of the game, if you win without losing any sheep you earn 3 stars. 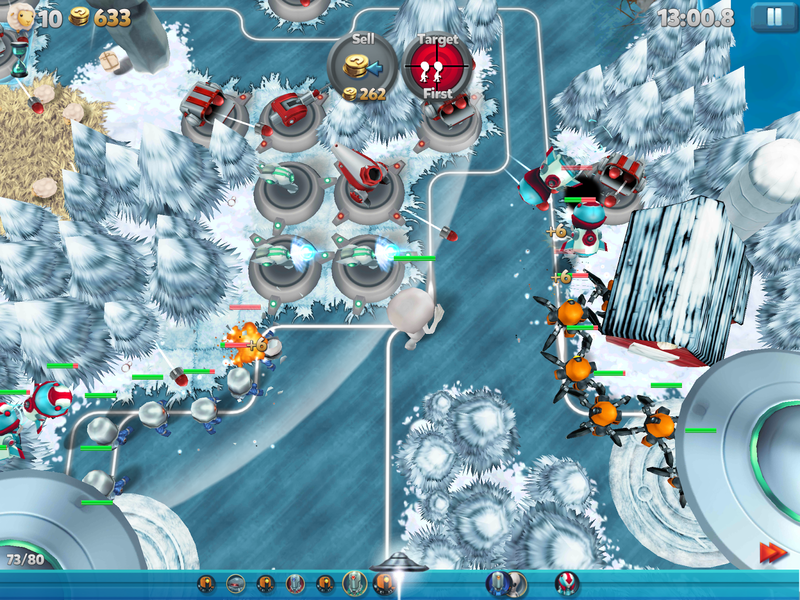 Hard recommended for players that want more challenge, surviving the round rewards players a bonus of 25% of wool. Don't lose any sheep, earns you 4 stars. Endless from the name itself aliens will never stop attacking and this mode doesn't reward any star but give 50% of wool.